Dip Bed is a new addition to the Dip Collection. 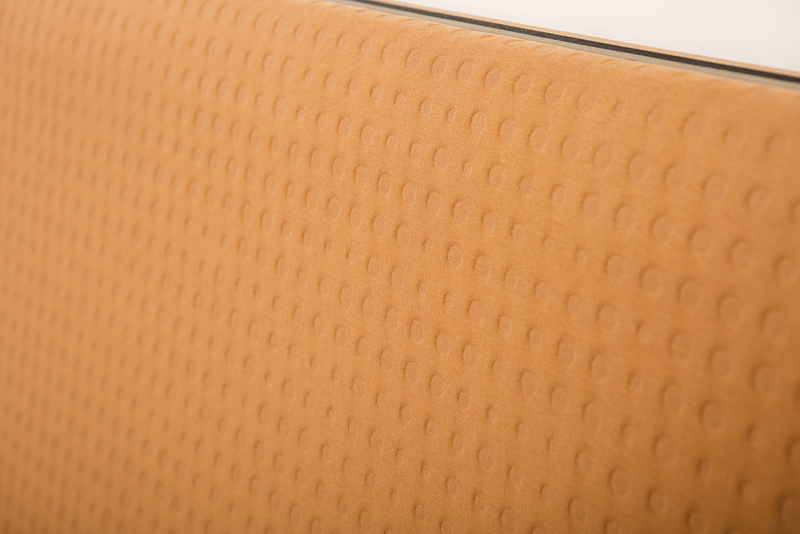 It has been produced by using the same materials as the stool; american white oak and combination of 3 different colors of wood veneer and aditionally orange colored Kvadrat upholstery has been used on the headboard. 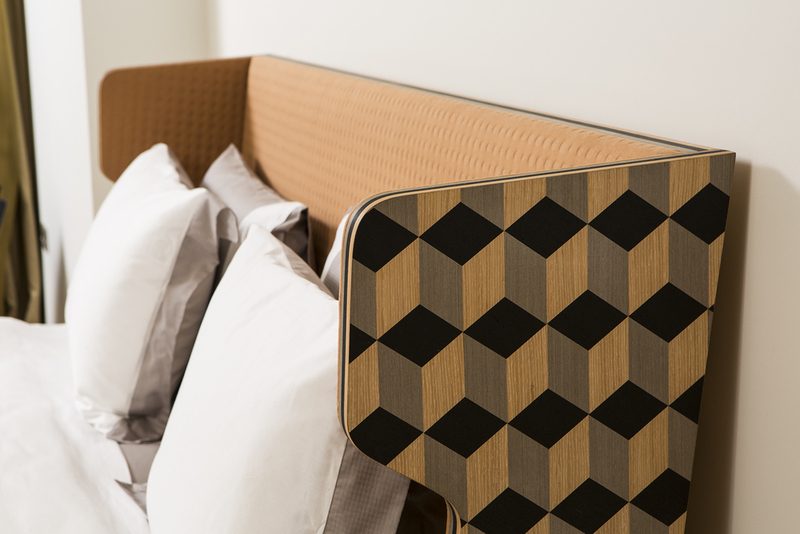 The 3 colored linear details on the edges of the bed has been designed to complete the pattern on the sides. This piece, which has been hand crafted by talented artisanals in Istanbul is as comfortable as its unique aesthetic appearance. W 39" D 87" H (headboard) 46"
Black, gray and cream colored veneer, american white oak and Kvadrat upholstery.